More Copyright Protection For Game Mechanics? I've seen a blog post from an Intellectual Property lawyer who specializes in video and board games being passed around my social media circles recently, and I think that it is something that needs to be looked at. Keep in mind that I am not a lawyer, so don't take anything that I talk about as any sort of legal advice. Find someone who specializes in intellectual property law and get their two cents first. The way that copyright and game rules intersected in the past was basically along these lines: you can copyright the exact expression of the rules, but not the underlying ideas of the rules. If you re-expressed the rules with your own wording, you were free of infringement. There were a few restrictions on that, like saying that mathematical expressions used to determine parts of your rules could be copyrighted, which lead people to finding new math that was close enough to the old math for government work. This is what lead us to games like Mongoose's version of the Runequest game, and large swaths of Old School Renaissance clones of early editions of Dungeons & Dragons. The case that looks to have changed this was between two board games, one of which effectively cloned parts of the mechanics of the other game (you can find more detail at the link in the first paragraph, I'll let the expert do the real explaining of this issue). The first game's publisher sued the second game's publisher for infringement and eventually won. According to Zachary Strebeck, the lawyer who originally blogged about this, the suing publisher's case was based on an earlier precedence that "the plot and gameplay progression of something like The Legend of Zelda would most likely be protectable." However the court did not feel that the allegedly infringing game fit that definition. The court points out that “Unlike a book or movie plot, the rules and procedures, including the winning conditions, that make up a card-game system of play do not themselves produce the artistic or literary content that is the hallmark of protectable expression.” They note that past game copyright victories were won by parties based on infringement of visual appearance or other protectable elements. Pac-man’s gameplay, they recall, was not considered protectable back in 1982. Given these rules and precedent, the court looked at the issue in the case – that of the similarity between “the roles and characters and their interactions” in the two games. Ziko argued that these roles and interactions were no different than other rules and mechanics in the game, and therefore were unprotectable. DaVinci, on the other hand, argued that those roles and interactions were protected, using precedent from the Triple Town case. The court distinguished this case from the Triple Town case, though. In Triple Town, that court analogized the gameplay hierarchy in Triple Town to the plot of a movie. In doing so, they imbued it with copyright protection. The "Triple Town Case" refers to a 2012 case between EA and Zynga overly game apps Triple Town and Yeti Town. One of the stipulations in that case made by the court was that "the object hierarchy coupled with the depiction of the field of play comprise a setting and theme that is similar to Triple Town’s. A snowfield is not so different from a meadow, bears and yetis are both wild creatures, and the construction of a 'plain' is not plausibly similar to the construction of a 'patch.'" The assessment of each game’s UI gets to the heart of the EA-Zynga dispute. Like Yeti Town, Zynga allegedly copied the basic gameplay from EA and then put its own lightly modified UI elements on top of that gameplay. Indeed, as alleged by EA, Zynga probably did less to modify its UI than Yeti Town did. The Triple Town ruling suggests that Zynga probably can’t score a quick win. The two ended up settling because a precedence setting win would have ended up having long term ramifications in a business where "borrowing" from other games is such a fundamental part of game design. Like I said at the beginning, I'm not a lawyer and I'm not going to attempt to try to explain this complicated material. I suggest looking at the information and thinking what would happen if there were a change of the people in power at Wizards of the Coast, and they decided that they didn't like the cloning of their systems. Material used directly from the OGLs would still be usable, but what about the "extrapolations" to make the OGL material play more like older systems? 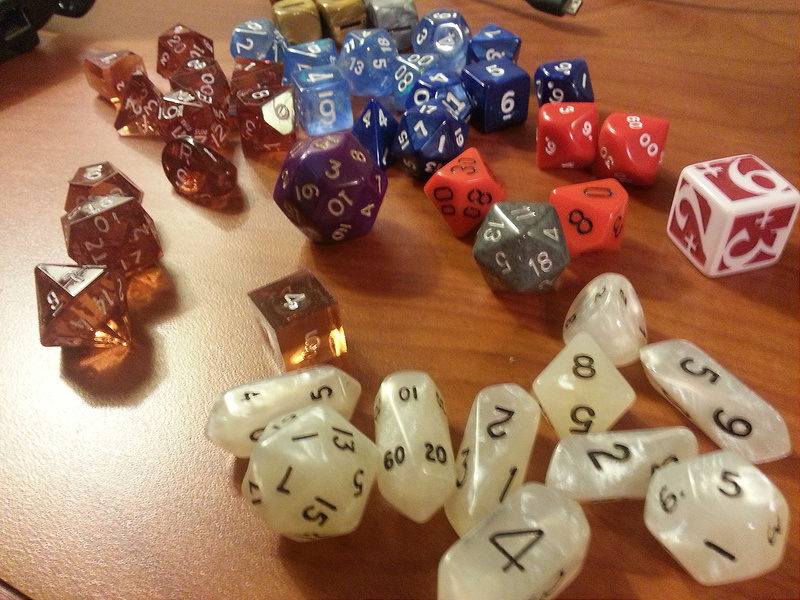 What about designers who make "diceless" RPGs by re-expressing the old rules with their new language? In what ways could the assumptions of copyright law change for them dramatically? We have trolls. Horrible, terrible amounts of sad little people who are looking for the validation of their sad and tired little squeaks of anger and outrage. They're "fighting" against a world that has moved and left them behind in the dust. The think that their only hope now is to shout long and loud enough to drown out other voices, those voices that truly represent the world of today, and of tomorrow. These trolls spout racist, sexist and homophobic diatribes under the the auspice of free speech. Which is fine, they are absolutely right that they have the right to say what they want. The problem is that having the right to say whatever you want, and being protected from the consequences of what you say, are two entirely different things. Freedom to speak your mind also doesn't mean that the rest of the world is required to listen to your tiny, squeaking voices. We need to stop giving up the public spaces of the internet, because that is exactly what those trolls want. They want people on the outside, people who might be interested in the various hobbies that fall under the umbrella of Tabletop Gaming, to think that they are the only voices, the ones who are in charge. This is a lie that is perpetuated by good people keeping quiet, so only the sour grapes, the squeaking voices of those choking on the dust of the Modern World are the voices that are being heard. Don't Feed The Trolls. In a way, this is right. Engaging with the trolls, the tiny-armed dinosaurs with arms waving to protect themselves from the approaching comet, does no good. They aren't interested in discussion, they want to derail and make sure that the conversations are about them rather than the topics that they don't want discussion about. Make sure that in places like Twitter, Facebook, Google+ and other social media sites you talk about the harassment of anyone being wrong. Don't talk to the trolls, but let everyone else know that there are other voices, rational voices that aren't coming from places of fear and anger. Of course, this will mean that harassment and the squeaking voices of the trolls will be directed at you, as they attempt to use their techniques to shout down opposition. Block or mute and move on. Trying to talk to them is pointless, because they aren't interested in conversation, just hearing their shrill, squeaky voices. These people are all big, bad and tough online, with their fear-based bullying, but they really don't have any power over any of us. They don't even seem to think that they have any power over their own gaming tables, since they insist upon the narrative that someone is trying to take away their games. If they don't have power over themselves, why should we assume that they have power over others? The squeaky-voiced trolls can't even win initiative in a combat. All that they can do is react to what others are saying and doing. These are not powerful people, these are sad and fearful people who don't know how to handle a world that will no longer excuse their hatreds. Don't Read The Comments. 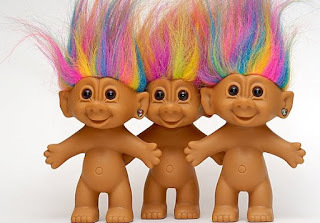 This is what has allowed the squeaky-voiced trolls to take over so many websites and forums. Just like above, the point isn't to engage the squeaky but to point out to others that their voices, their hate and fear is not what defines our hobbies. We Need To Look At Both Sides Of This. No, we actually don't. There aren't two sides to these discussions. Supporting racism is not a side. Supporting homophobia is not a side. Supporting sexism is not a side. Supporting transgender harassment is not a side. These are not sides, they are bigotry pure and simple. If being against bigotry is wrong, I don't ever want to be right. We need to stand with the victims of these fear-based harassments and let the ineffectual attacks of the squeaky-voiced trolls bounce off of us. Together, we have the power. All that they have is fear and ineffectual anger. Update 5/23/2016: Kudos to Chaosium Publishing (publishers of fine games like Runequest and Call of Cthulhu), who have published an anti-harassment policy and Code of Conduct for their organized play. They site my EN World piece on the harassment of women in gaming as a reason for the policy. Written while eating Jelly Belly Superfruit jelly beans, because pipes are gross.